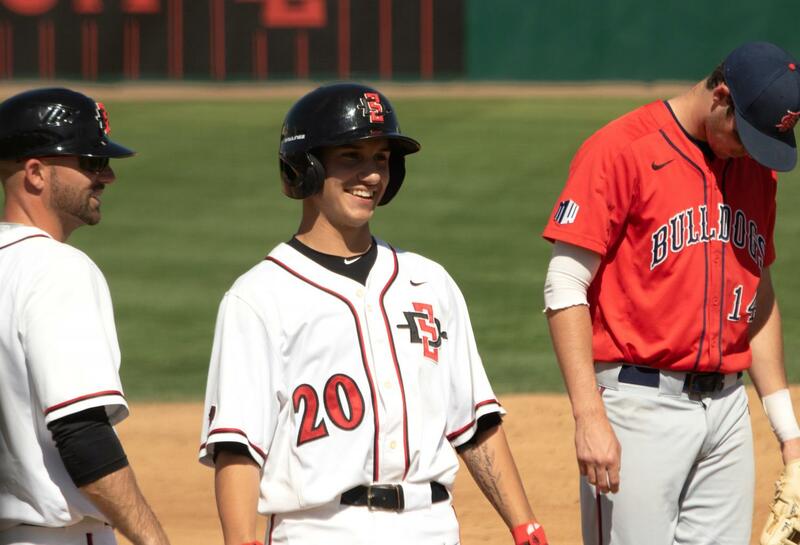 Freshman infielder Michael Paredes smiles during the Aztecs 11-6 victory over Fresno State on March 31 at Tony Gwynn Stadium. 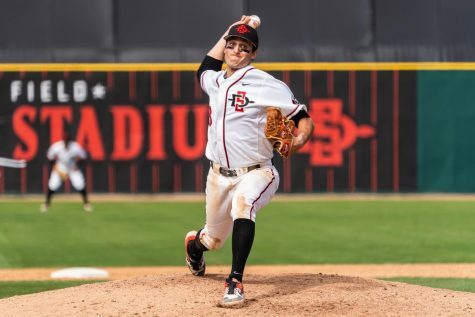 The offense came alive for San Diego State baseball in a 11-6 win over Fresno State on March 31 at Tony Gwynn Stadium. 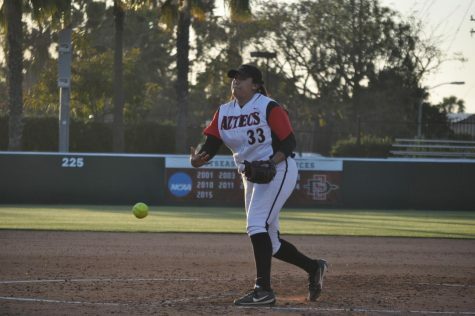 The Aztecs (15-12, 5-4 MW) benefited from a three-run first inning and a five-run sixth inning, which helped them avoid a three-game sweep at the hands of the Bulldogs (13-8, 4-5 MW). 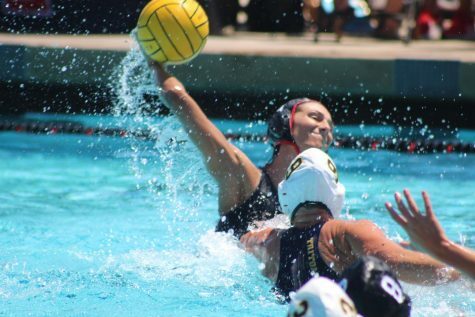 Head coach Mark Martinez said the offense was able to break through after struggling in the first two games of the series. Sophomores Casey Schmitt and Joe Fitzhugh both drove in two RBIs, while freshman right fielder Jaden Fein went 3-4 with a double and a solo home run. Fein’s solo home run in the fourth inning came after he committed a fielding error that allowed junior catcher Carter Bins to score the Bulldogs’ first run. Fein said he felt relieved to get the run back for his team. 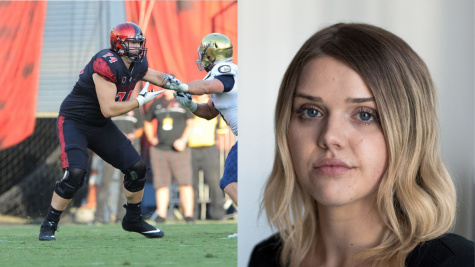 “It helped me contribute to my team after giving up a run,” Fein said. Freshman pitcher Michael Paredes contributed on the mound with 2.2 innings and drove in an RBI in the fifth inning. The at-bat was Parades’ first collegiate at-bat and helped spark the five-run sixth inning. Paredes said his first hit was something he had anticipated. “It felt cool to get my first at-bat. 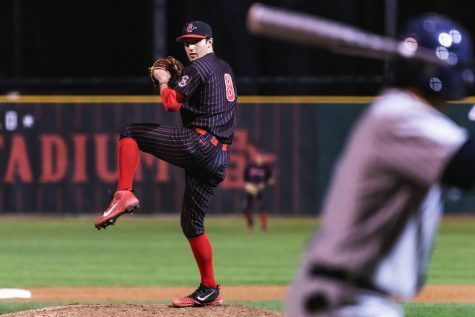 I came here as an infielder and pitcher, so it wasn’t too nerve wracking, but it was definitely something I was looking forward to when I came here,” he said. Senior shortstop Angelo Armenta drove home sophomore left fielder Matt Rudick after Rudick extended his career-long hit streak to 19 straight games with an eighth inning single. 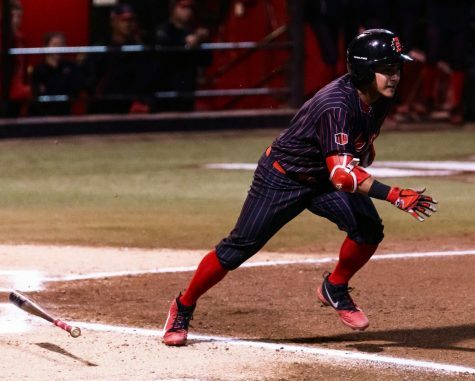 The Aztecs scored two more runs on wild pitches in the first and sixth innings and also added another run on a fielding error by sophomore shortstop JT Arruda in the first inning. 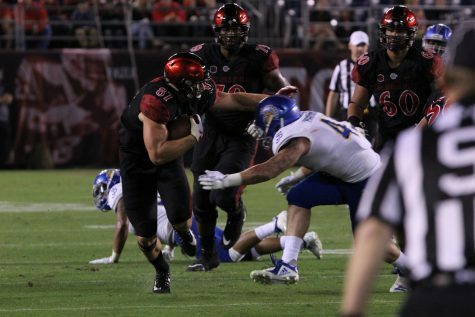 Martinez said the team benefited from Fresno State’s mistakes. “I think we took advantage of some mistakes. I think good baseball teams advantage of that,” Martinez. Fresno State received RBI hits from junior catcher Carter Bins (2), Emilio Nogales (1) and McCarthy Tatum (1), while the other two runs came via errors. Martinez said his team needs to limit the free runs. “We were extending innings based on our poor defensive play and giving up four and five outs an inning because we can’t concentrate and focus. That’s 100% the coaching staff’s fault,” Martinez said. 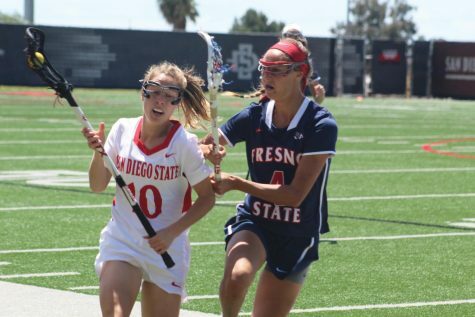 The Aztecs will play their next game on April 2 at Oregon State University.